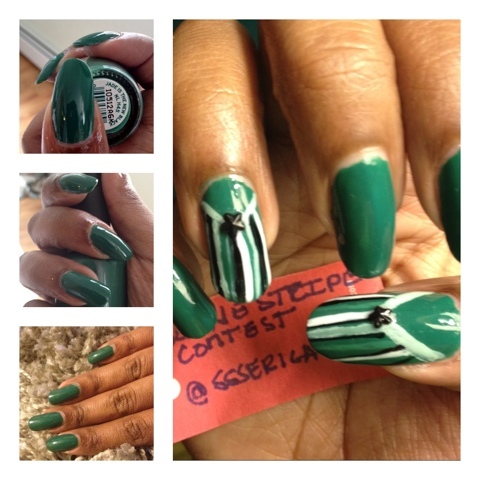 This Nicole by opi collection is probably my only complete collection. I generally don't have the funds to have a complete collection. Even with that usually there are one or two colors I could do without. This spring collection spoke to me. I have worn all but two as a full mani and I've enjoyed each color. This is no exception I honestly feel papa-razzi don't preach and strike a pose are my two faves! 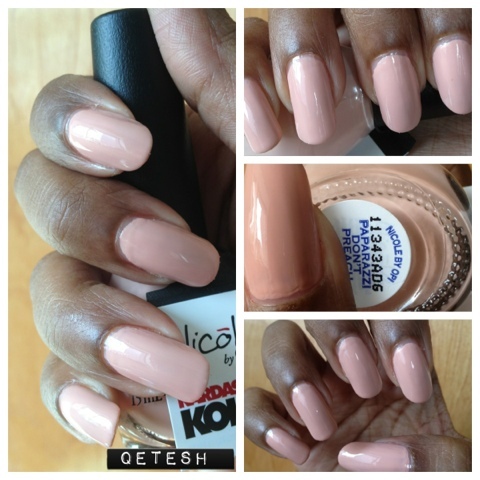 Papa-razzi is just a perfect blend of peach and pink neutral that it makes my hands feel delicate and girly. I can easily see myself wearing this color year round since it really doesn't scream a season like a neon or vamp. It's classic colors like this that steal my heart! 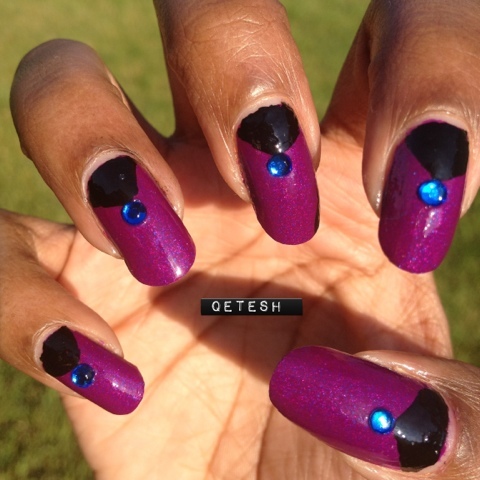 Below is 2 coats with a fast dry top coat. 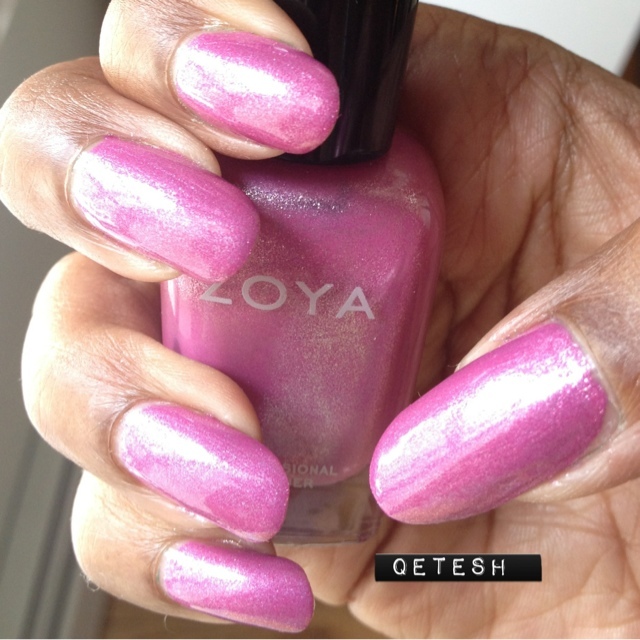 I am still wearing all of my zoya's. I am also still trying to remember to post I have a bunch of manis on backlog at this point I really should post every day. Rory was just ok for me I really do like how this has a foil metallic quality to it. It was not brush stroke heavy even with that. I guess it's just the color on me didn't wow me but either way it's application was good no problems. 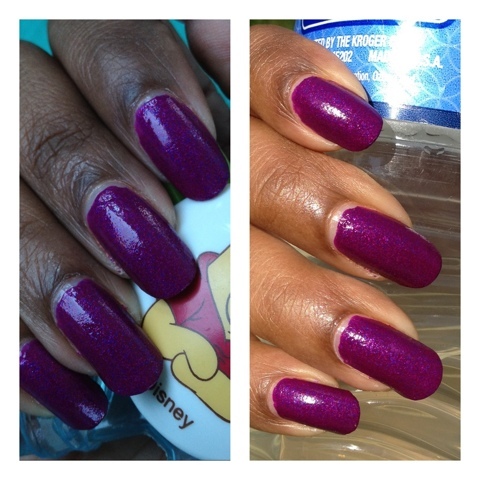 Below is 2 coats with insta top coat. This is another from my eBay haul. I was actually looking forward to this the most of all the colors I got. I've been searching for A yellow that looks really good against my skin. This is a definite contender! I honestly can't deal with having the same color on my nails for more than a few days so I probably won't try another yellow out for a few weeks!! 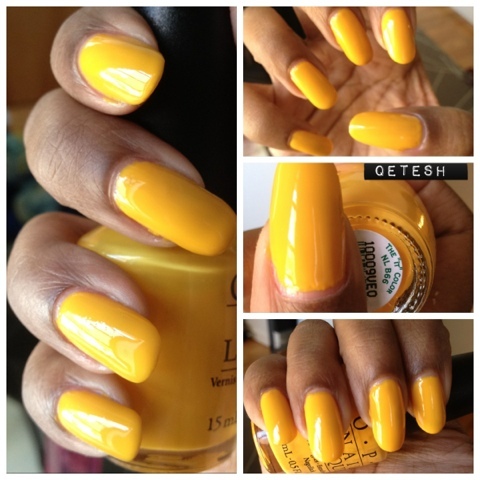 This is a perfect yellow cab yellow. Formula was pretty snotty :( it was still better than some other yellows I have tried but for an OPI it was definitely below normal standard. I ended up smudging this almost right after because I was busy making coffee on my way out to the park. Of course I had a quick dry topcoat on but if you nick your nail hard enough it will still show a smudge. 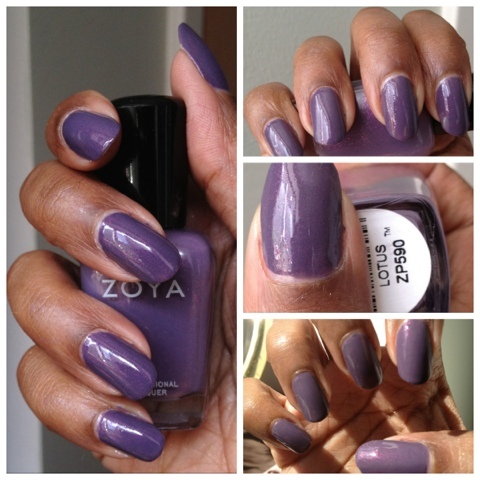 This is to coats with fast dry topcoat I will wear this again this summer maybe on my toes! Hello folks! I usually post from my Iphone just because its easiest for me. I found its the only way I post regularly. I am still on the search for the complete right hair and face products so I am composing some posts today on previous comparisons for my own reference and anyone who happens to stop by my spot. I used to be a huge Neutrogena fan. I actually even have some of their hair products and I am still a huge fan to a point. now that I am over 30 and that plus the changes my body has gone though since the birth of my daughter has caused me to pull slightly away from the Neutrogena line. I still think these worked great in my 20's tho. 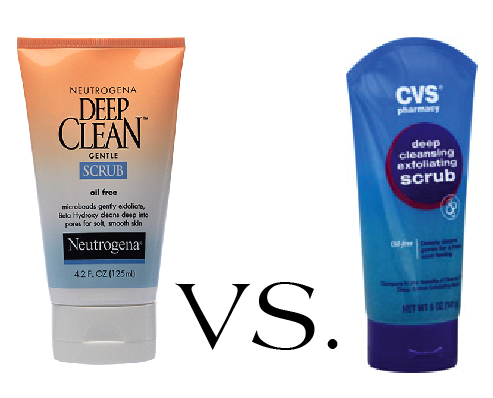 I used to use Neutrogena's deep clean gentle scrub. I loved how this had that minty feel in the morning. It was gentle while still giving me a invigorating clean feeling after. This combined with visibly even and my skin was good to go. I wanted to note that once this bottle was used up once I called myself *saving and buying into the CVS brand... DISASTER ... The CVS brand is nothing like the Neutrogena's the beads are huge and never really scrubbed into my face I also found it to be more harsh on my skin then the Neutrogena's this is one case where generic really doesn't pay off. I have in the past had great results with some generic products that were "modeled" after the name brand, Especially in the hair care area, but obviously the same formula does not hold true for facial cleansers and I honestly doubt I will even buy another generic unless I read somewhere how "great and like such and such" it is. After I got pregnant I stopped using the Neutrogena (worried about some of the chemical content etc) and now my skin seems like it dulls easier so I am letting this cleanser go for a cream cleanser, mostly because I feel my skin needs more moisture then before... anyway I will post on what I am currently using and opinion laters... till then toodles.